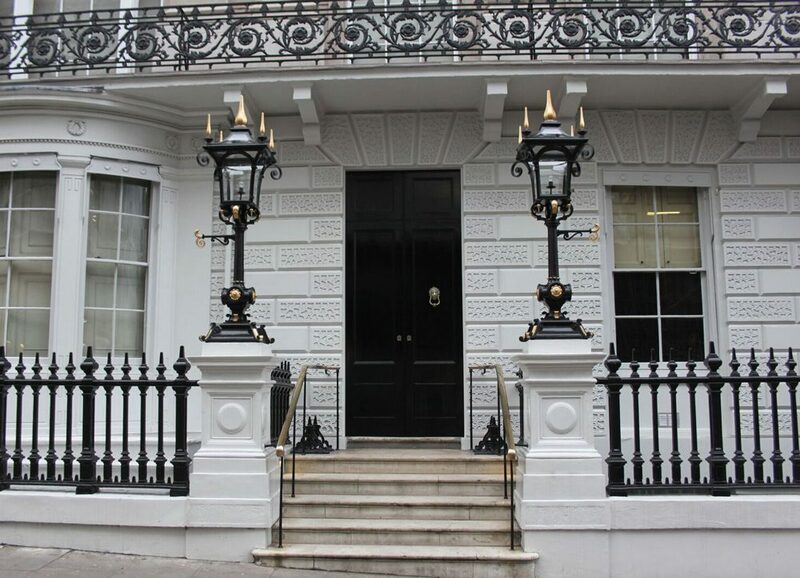 This project, which commenced in May 2014, involved the removal of two existing original cast iron gas column lanterns, which were first installed on the front balustrade in the eighteenth century. The lanterns were painstakingly restored, the work including large areas of expert repair required on previously patched over bomb damage sustained during two World Wars. 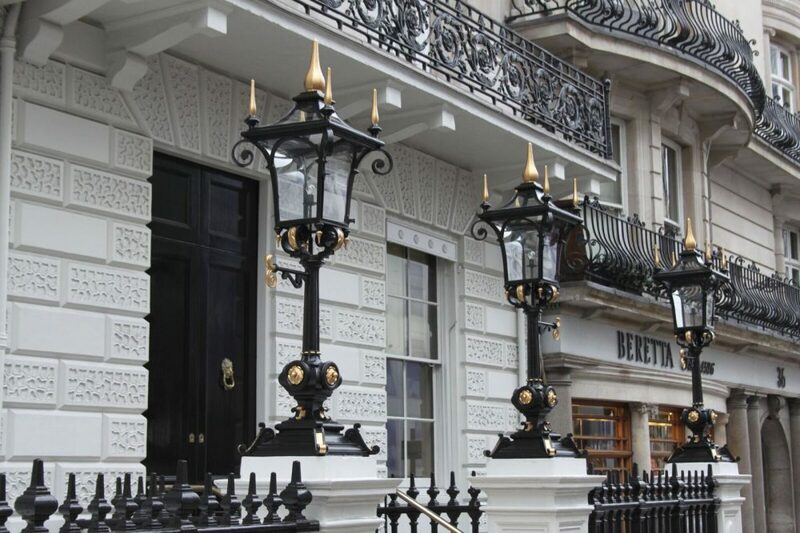 Patterns were taken and two additional matching cast iron lanterns were manufactured and installed on the balustrade, together with the two original, restored lanterns. The lanterns are 2.3 metres in height and each weigh 240 kilograms.